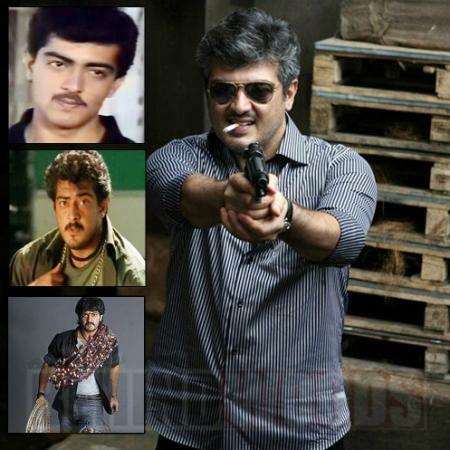 Ajith entered the screen in his early 20s with Amaravathi and it was evident with his appearance. In the coming years he would experiment with not just his looks but also a whole body transformation. Today his look is one that embraces his age as he looks dashing with that salt and pepper look and well toned body. Top 5 Kodi Idais of Kollywood - The next Simran! Who is the ultimate Hero-Villain? A suitable title for Ajith- is it difficult to find? This page hosts a weekly slideshow related to Tamil movies. Each slide includes a picture and some description about that picture. All the slides will have a recurring theme. People looking for actress stills, actress images, actor stills, actor images, movie stills, movie images, and other interesting topics, relevant issues in Tamil cinema will find this page useful. Ajith | Ipdi irundha Superstars eppadi aiytanga.